CYCLE! by Clouston Associates, exemplifies the Smart Light ethos. 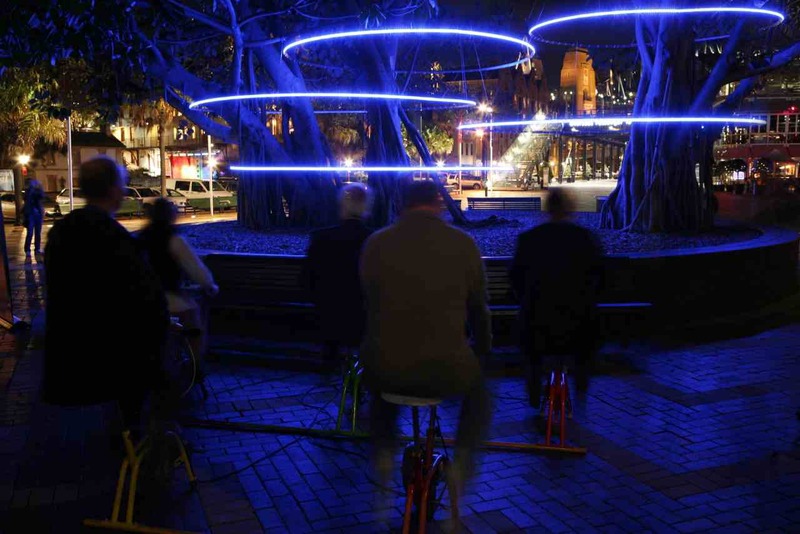 Popular in Sydney and Singapore, its blue LED tree-rings are user-activated by pedal power. Three Smart Light celebrations – held in Sydney and Singapore from 2009 to 2012 – activated global excitement about applying eco-ethical concepts and new digital networking systems to creatively illuminate cities at night. Developed by Australian light art engineer Mary-Anne Kyriakou, the ‘smart light walks’ catalysed the first Vivid festival in Sydney (2009) and the biennial iLight Marina Bay events in Singapore (2010, 2012). These walks are outdoor exhibitions of light art spectacles – arranged as nocturnal, informal, public promenades around waterfront zones. Unlike traditional light festivals, they are curated to avoid ‘carbon-belching’ fireworks and bonfires, sky-strafing lasers and searchlights, and ‘hot’ lamps (such as incandescent and halogen bulbs). Contributing artists usually prefer renewable instead of earth-dug sources of energy and Kyriakou’s teams developed programs to audit and offset the energy consumption of artworks by persuading owners of nearby tall buildings to switch off surplus lighting during their three-week festivals. 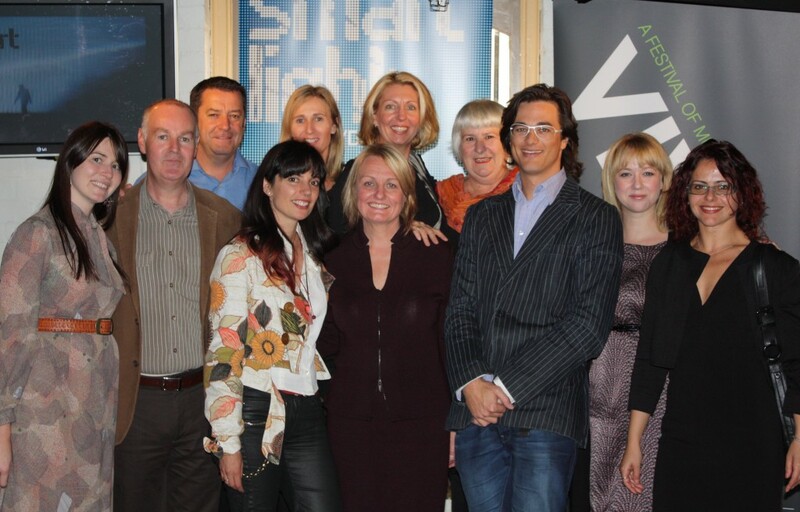 Mary-Anne Kyriakou’s Smart Light team at the launch of Sydney’s first Vivid festival in May 2009.